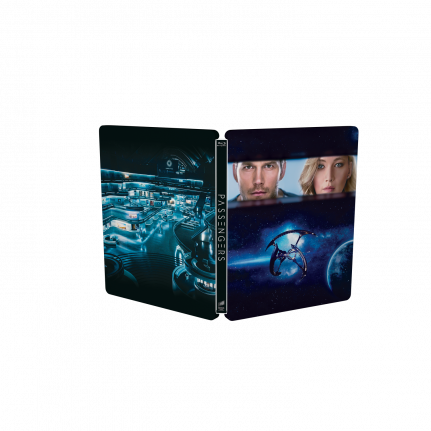 Check out the European Passengers SteelBook edition here! 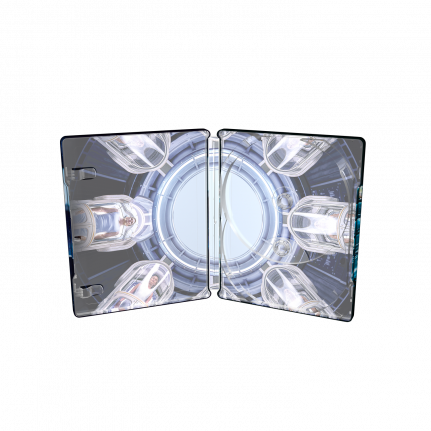 Go on a journey in time and space in the SteelBook® edition of the science fiction movie Passengers. The dark blue hues in the artwork are enhanced with the glossy varnish, and the metallic canvas gives the space ship on the front a metallic shine. The international SteelBook® edition has the title treatment on the spine, while the North American edition also has it on the front.